4 Teams Advance To Finals In Large Varsity Game Day! 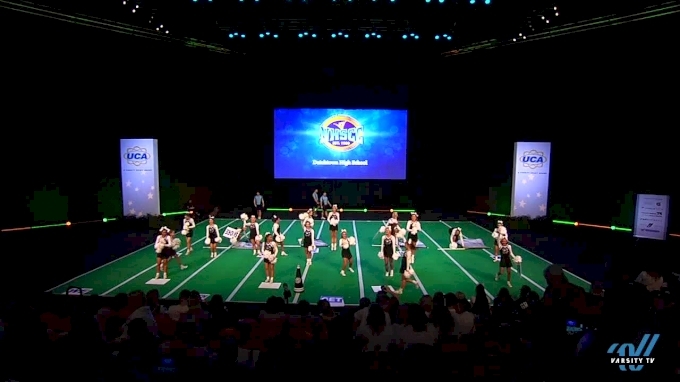 Day 1 of the UCA National High School Cheerleading Championship kicked off today with some impressive Game Day routines in Orlando, Florida. After 41 impressive routines, the Large Varsity Game Day division results are in! Congratulations to the teams advancing straight through to Finals! Watch the Large Varsity Game Day Finals on Friday, February 8th starting at 7:39 PM ET in the HP Field House! Head to the UCA NHSCC event hub for full results, from the Large Varsity Game Day division.